Karbonn A1 is a stylish designed user-friendly 3G touch screen dual sim smartphone featuring 7.1 cm TFT Touchscreen (262K) display with 240 x 320pixles screen resolution and white back-light for keypad. It has 3.2 mega pixels camera with excellent options such as zoom, motion sensor which enables the user to take crystal clear, blur-free pictures as well as good quality videos without any vagueness. It also boasts SWYPE and handwriting recognition advanced in-built feature which makes phone operating easy and simple. The phone also comes with dual sim-dual standby, video recording, anonymous mode, voice recorder, health management, graphic icons, multi-format ringtone option, mobile TV, embedded games, power on/off animation, hands-free mode, and many more other latest multimedia applications. 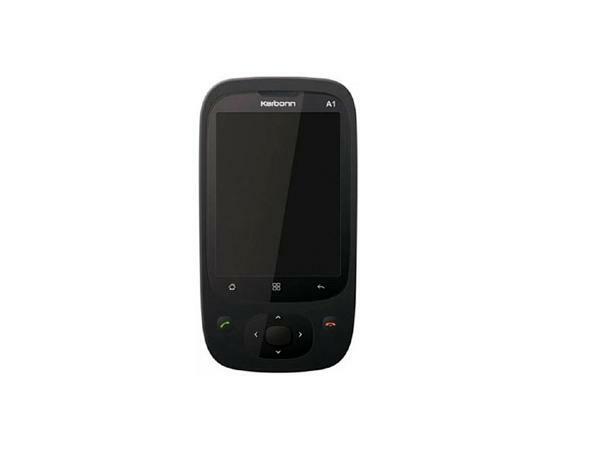 Karbonn A1 comes in a glossy compact matte finishing which makes it look really elegant. It has 150MB, 4GB NAND with 2GB DDR SDRAM of internal memory along with 32 GB expandable memory support. A1 also offers 7.2 Mbps high-speed downloading capacity where the user can quickly download the data through internet without any trouble. The phone is integrated with multi-format audio/video player which delivers excellent quality music and videos. This smartphone comprises of connectivity features such as GPS navigation with voice assist facility, android market, email, bluetooth, Wi-fi, EGPRS, 3G connectivity, USB, WAP browser, Facebook, Twitter and Gmail. The handset is packed with Li-ion 1100mAh and is available in eye-catchy black color with no interchangeable colors. It comes in dimensions of 106.8 x 59.2 x 14.0mm and weighs 105gms including the battery. 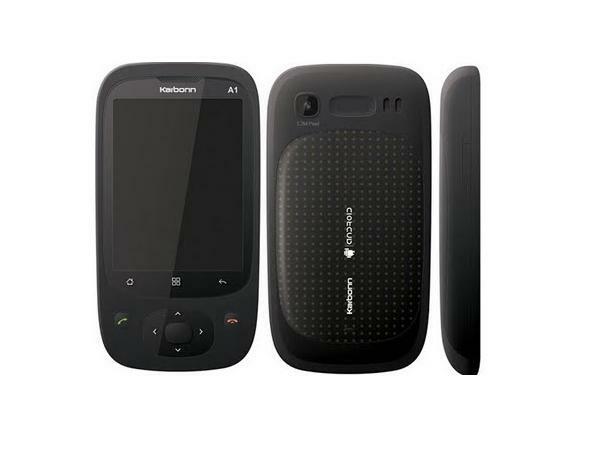 The phone is powered by 600 MHz processor and runs at android v2.2 (Froyo) operating system. Overall, Karbonn A1 is one of the high-end 3G android based Touchscreen smartphone which can be a worth buy as it offers a complete package of advanced applications and great specifications for low-price.